In 2013, Anthem Church is engaging a one-year Bible reading plan as a church. We are using the “Reading God’s Story” plan from the YouVersion family of apps (IOS and Android). Our vision for encouraging the body to go through the Bible together is simple. We believe the Bible is God’s Word. We believe that it is authoritative in our lives, meaning, it instructs life in Christ. We believe that the Bible is God’s story, and that is the story that God has invited us in to. What that means is that the Bible is not a 2000 year-old dead document, but that it is our story. We continue to live out the pages of Scripture. So, if this is God’s story that we have been invited in to, we want to know it. We want to know how we fit into the story of God. In preparation for this (though it’s happening as we start) we will be preaching through our bibliology (our beliefs on the Bible). Dec 3, January 6, 13, 20 and 27 will have messages on different aspects of the Bible, how it is to be read, how we can use it, what it is, why it exists, etc. Our hope is that going into 2013, you have a great understanding of what the Bible is and why we would take a year to read through it together! 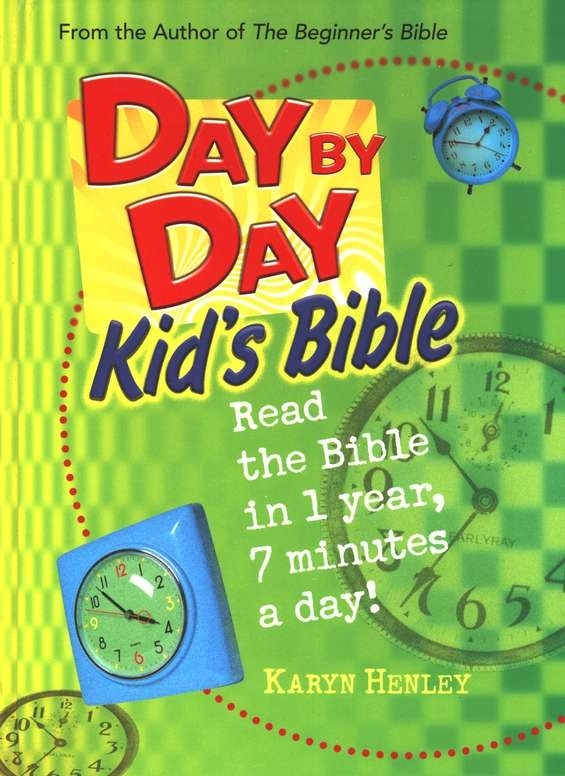 If you’ve got kids, we are recommending that family’s go through the Day By Day Kid’s Bible, which takes a slightly different pace, but allows the entire story to be read in an understandable way! We have these available for $15 purchase at the welcome table or at the Anthem Kids Check-In. You can also buy them off of Amazon (you save $1.40 if you’ve got a Prime account). We hope you make the decision to join us this year! We believe it will have immense value for you and your value. Check out www.anthemchurch.org for updates!